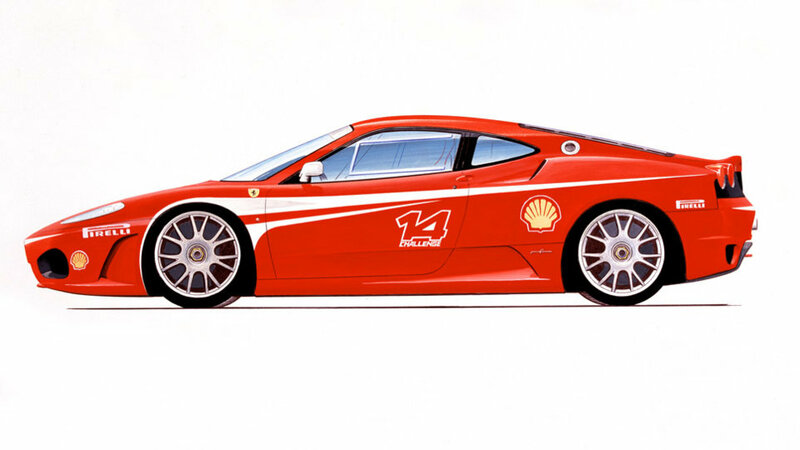 The F430 Challenge, the 8-cylinder berlinetta-derived competition car that will be taking part in the Ferrari Challenge Trofeo Pirelli from the 2006 season. Ferrari has also reaffirmed the strong link between its GT and sporting divisions with the new F430 Challenge which is specifically designed to meet the expectations of its sportier clients. 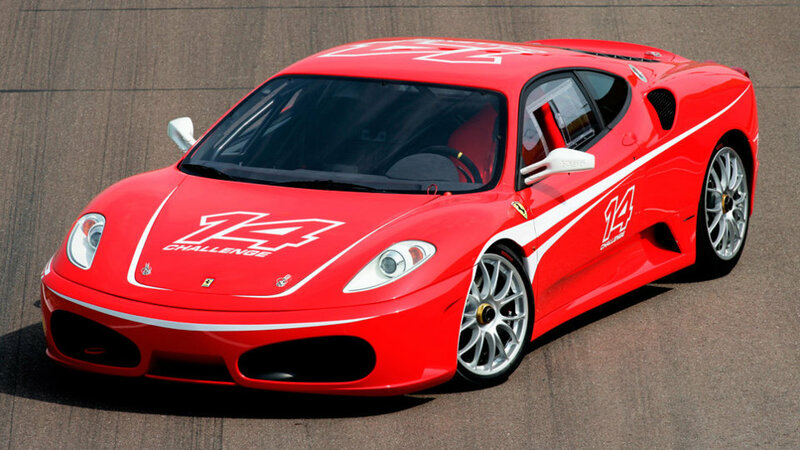 The F430 Challenge retains the same general look and 490 hp engine as the road-going version. However, it also incorporates a large number of significant track-oriented modifications and a host of new features not seen in the car currently used in the series, the 360 Challenge, which it joins on the track next season and completely replaces in 2007. 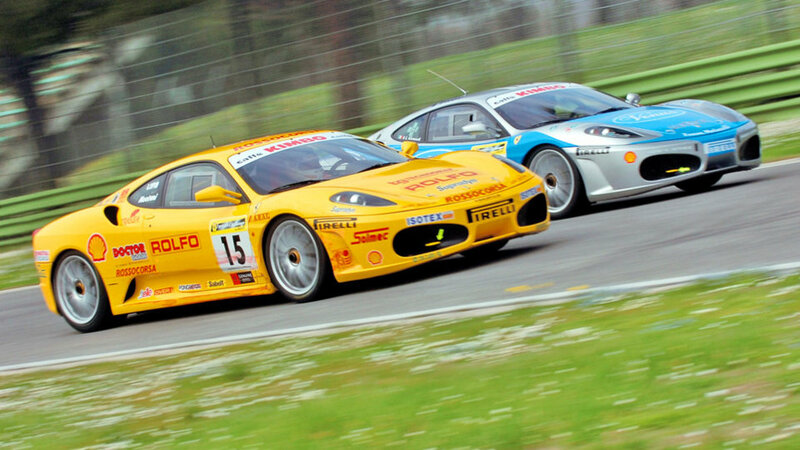 Right from the start, the Ferrari Challenge has featured a car chosen from its road-going range, safe in the knowledge that the GT cars produced in Maranello have a sporting soul and are great to race. The current F430 certainly fits this profile: the 490 cv V8 engine is strictly standard as is the general structure of the car. Nevertheless, there are a good number of modifications made with racing in mind, starting with safety elements. There is a full roll cage in the cockpit, a racing seat and headrest, four point safety harness and, as from the 2008 season, mounting points for the now compulsory “HANS” system. Thanks to a programme of weight reduction, which affects both the bodywork and mechanical components, including the use of a Lexan windscreen and carbon fibre in the air intake cover, the weight of the F430 Challenge has dropped to 1,225 kg in ready to race trim. It has been set up specifically for the task, with modifications to the torsion bars, the stiffness of the springs, while the dampers are calibrated for competition use. The car sits on 19 inch rims, with central fixing, which makes for rapid wheel changes, aided by a pneumatic jacking system and the Pirelli slick tyres are specially made by the Milanese company to maintain a consistent level of high performance, combined with good durability. In fact, only two sets of tyres can be used for the duration of a race weekend. 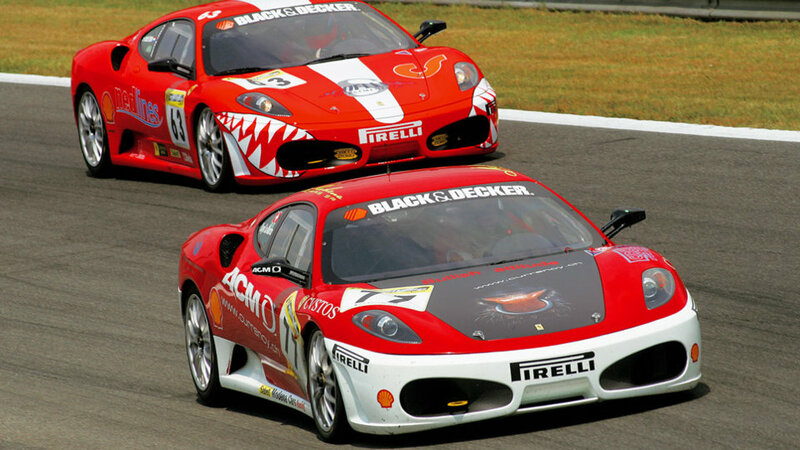 Since 2006, the F430 Challenge has used brakes that benefit from carbon-ceramic technology (CCM,) derived from its use in F1. This technical edge makes the car even safer. The gearchange has also inherited its electronic actuation from F1 and the gear ratios for fifth and sixth gear are different to those in the road version, as is the final drive, to improve engine performance, with improved acceleration without penalising top speed that can reach 280 km/h down the straight at Monza. Further technical modifications include an ultra light exhaust system, which is raised in a central position, while the air vents around them are also modified to improve the flow of escaping hot air. The cockpit features a colour digital display, a quick release steering wheel to aid entry and exit, which is fitted with buttons for car to pit radio communication and a pit lane speed limiter. Although not visible, equally vital is the telemetry system which allows drivers and engineers to study every lap in minute detail: this is useful for experts to study comparative data and it is vital for beginners who can improve their driving style by analysing each corner on the computer screen. 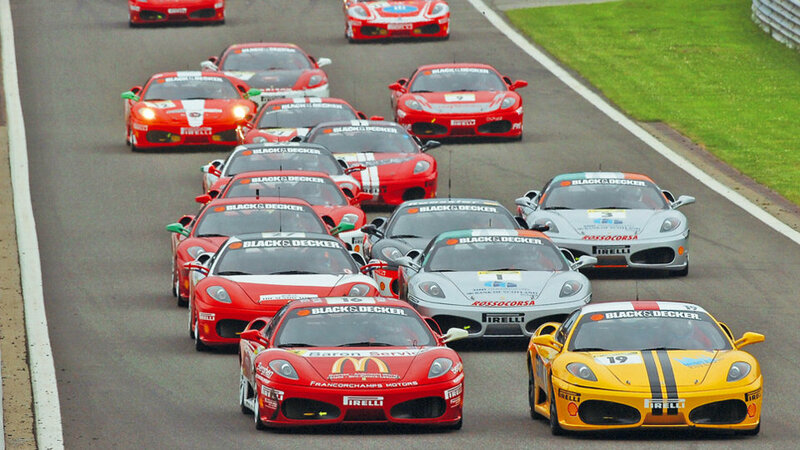 Accurate selection of the best shots of the F430 Challenge in high definition. The photo gallery shows the distinctive features of this model Ferrari in 2006, focusing on the details and the most important parts. * Note for all models’ technical specifications. Engine power is expressed in kW, in accordance with the International System of Units (SI) and in CV for reasons of homogeneity. The horsepower (hp) can be calculated as follows: 1kW=1.34 hp.